His Holiness the Dalai Lama during a press conference on June 15, 2012 in Manchester, England. This article was first published in the August 16, 2012 issue of The New York Review of Books. “I told President Obama the leaders of the Chinese Communist Party are missing a part of the brain, the part that contains common sense,” the Dalai Lama said to me during our conversation in London in mid-June. But it can be put back in. I am hopeful about the new Chinese leadership beginning late this year. The Communist leaders now lack self-confidence, but I have heard from my Chinese friends that after a year or two the new ones will take some initiatives, so more freedom, more democracy. The Dalai Lama, with whom I have been talking periodically since 1981, was in an ebullient mood even for him. He was referring to a meeting with Obama in 2011. I had asked the Dalai Lama about those national leaders throughout the world, from South Africa to Britain, who refuse to hold formal meetings with him because they fear Beijing’s anger. President Obama declined to meet him in 2009, the first rebuff from an American president since the Tibetan leader began visiting Washington in 1991. He noted that the Party sees how Aung San Suu Kyi, the Burmese opposition leader and a fellow Nobel Peace Prize laureate, was admired throughout the world for more than twenty years when she was a captive in Rangoon and now, free at last, is welcome everywhere. She was in London in June, and Beijing cannot have been happy to see her meeting with the Dalai Lama. The Dalai Lama told Suu Kyi that he admired her courage. 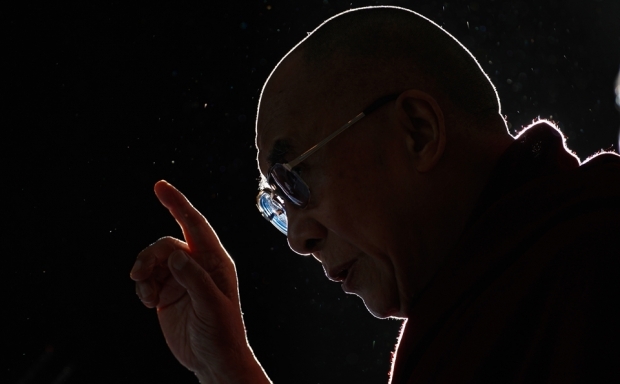 Particularly interesting was what the Dalai Lama had to say about the eleventh Panchen Lama, the second-most-eminent religious figure in Tibetan Buddhism, who has been chosen by the Chinese leadership in Beijing, in an apparent effort to impose further control on Tibet. The authentic eleventh Panchen, Gedhun Choekyi Nyima, was chosen by the Dalai Lama in 1995 while the Tibetan leader was in exile in India. In accordance with tradition, he made the choice five years after the tenth incarnation died. Beijing immediately denounced the choice as illegitimate, kidnapped the child and his family—who have never been seen again—and imprisoned for subversion the abbot of the Tashilhunpo monastery, the Panchen’s traditional seat, who had first identified little Choekyi Nyima as a possible eleventh Panchen. Employing “authentic” rituals, the Communist Party then chose its own boy, Gyaincain Norbu. It was only too plain that this rigamarole, as the Dalai Lama has remarked to me over the years, was a dress rehearsal for Beijing to select his own successor, the fifteenth Dalai Lama, who it hopes will be accepted by Tibetans, as their choice of Panchen has failed to be. I was surprised, therefore, by the Dalai Lama’s comments about the spurious Panchen. He mentioned 2008, when an uprising swept throughout Tibet proper and regions of China populated by many Tibetans. Chinese properties were destroyed, some Han were killed, and a number of Tibetans are estimated to have been killed at the hands of the Chinese police and army.